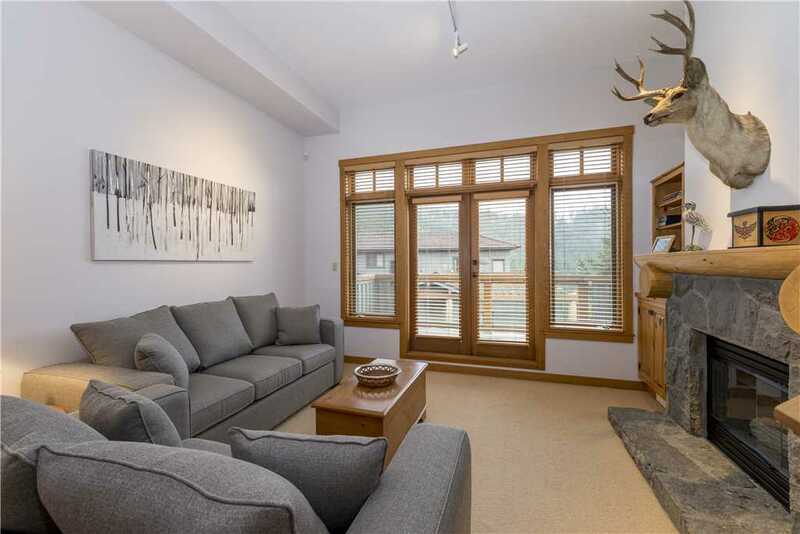 This large 2 bedroom, 3 bath townhome is located in the Taluswood Ridge complex, slope-side to the Dave Murray Downhill to Whistler’s Creekside. 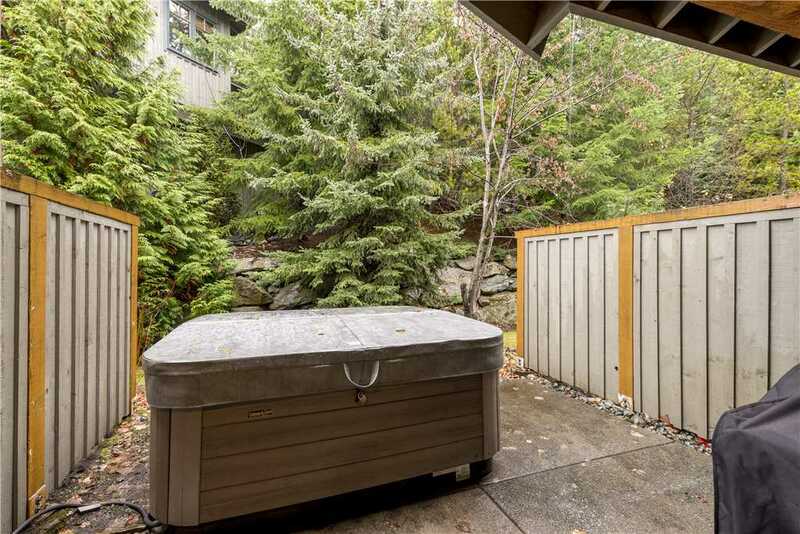 The home features a single car garage and private hot tub in the backyard. **Creekside Bike Park Gondolas opens Summer 2018! 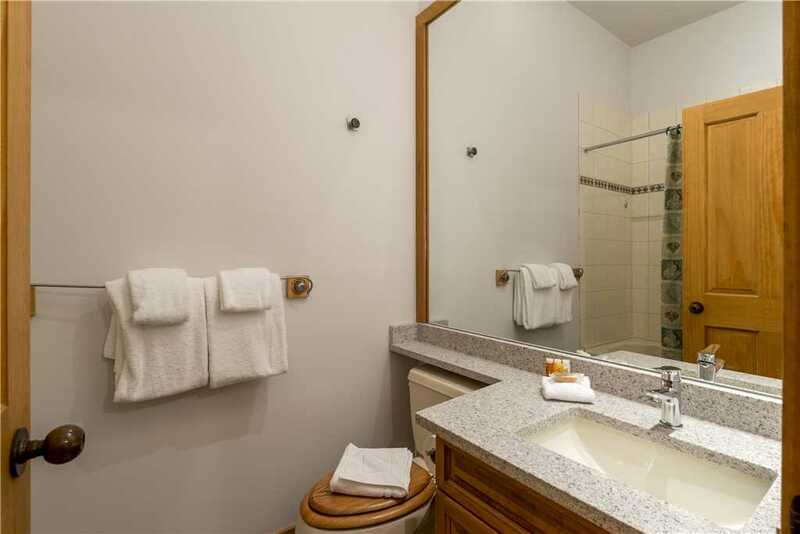 ** Spread out over 3 levels this home offers plenty of room for a 2 bedroom. 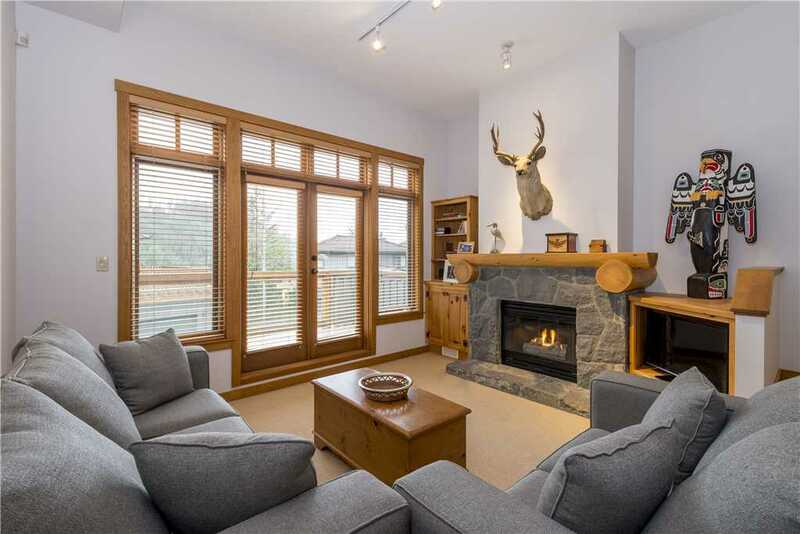 Enter the home on the bottom level that features a single car garage perfect for SKI or BIKE storage, with boot dryers and spacious entry. 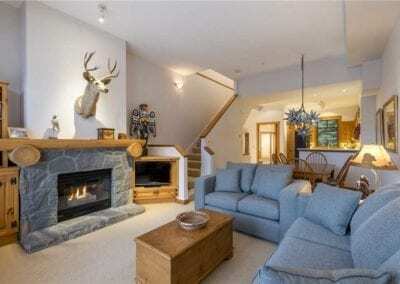 The stairs lead to the main floor with open concept living, dining, kitchen and full bathroom. 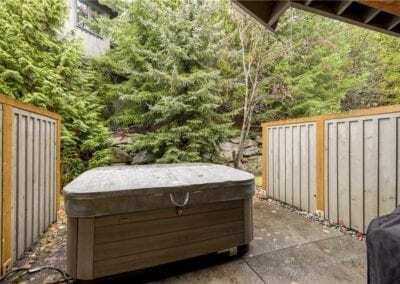 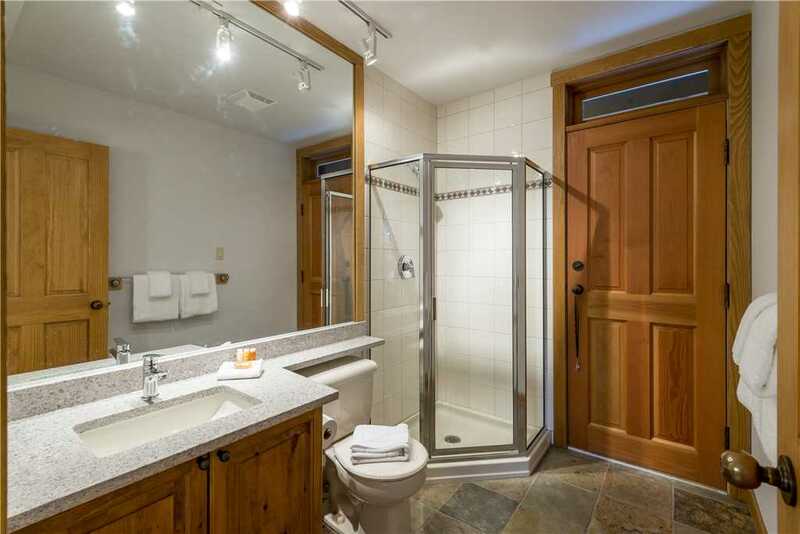 Through the bathroom leads out to the back patio with private hot tub and BBQ. 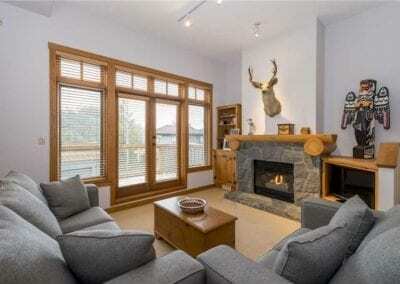 Extra sleeping is offered on the queen pull-out sofa bed in the living room. 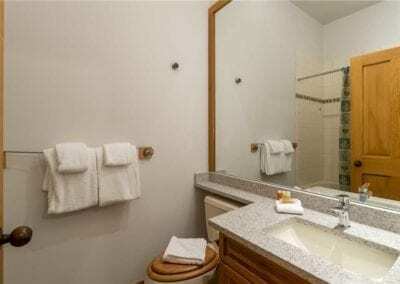 Upstairs you will find the 2 bedrooms. 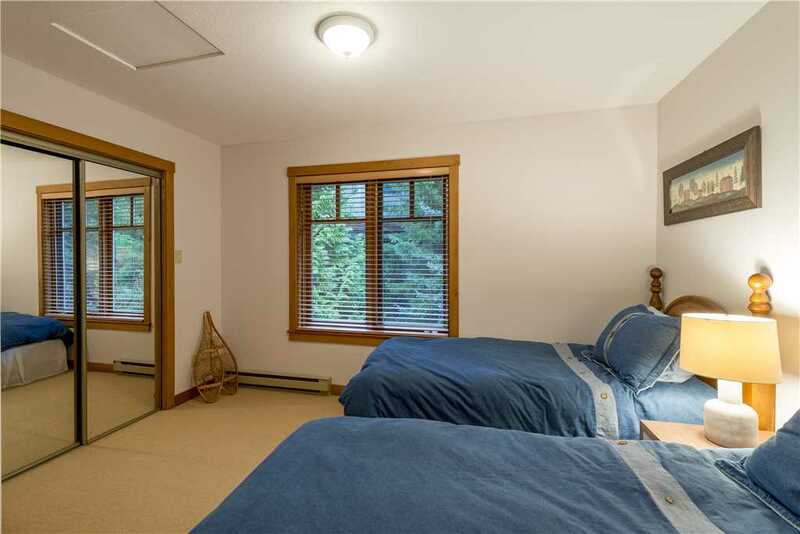 The first bedroom has two twin beds that can be comfortably and conveniently be converted into a king-size bed, also with a full en-suite bathroom with heated slate floors. 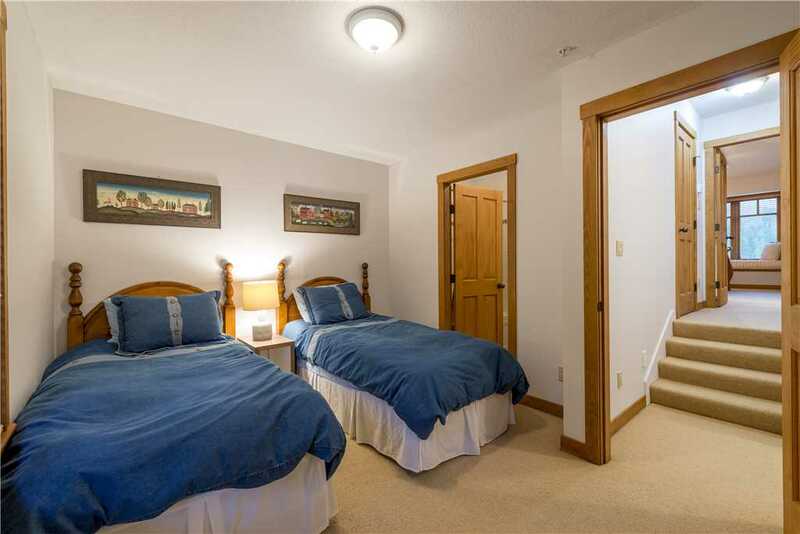 Down the hallway is the laundry closet and master bedroom with full en-suite. 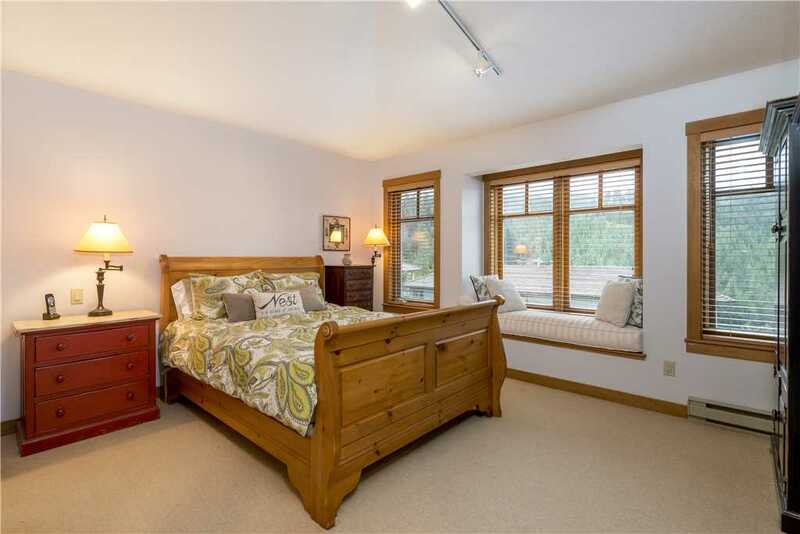 The master bedroom boasts amazing mountain and valley views, with afternoon sunshine. 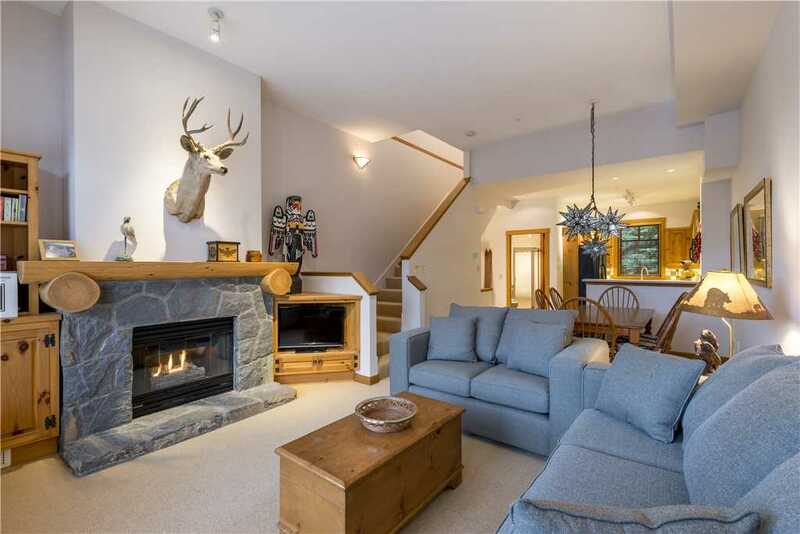 Steps to the slopes, this home offers lots of space, privacy and quietness for the perfect mountain retreat. 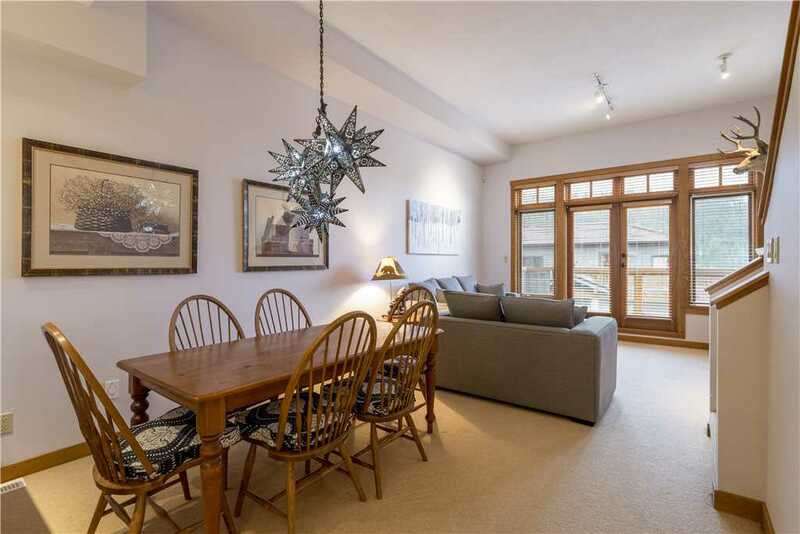 Ski down in the winter or bike down to the Creekside gondolas in the summer. 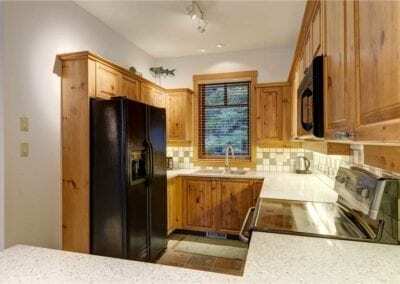 Enjoy the perfect mix of quiet serenity and action packed adventure with this as your home base! 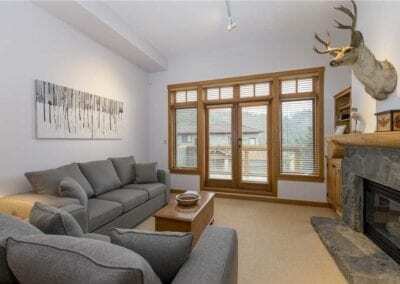 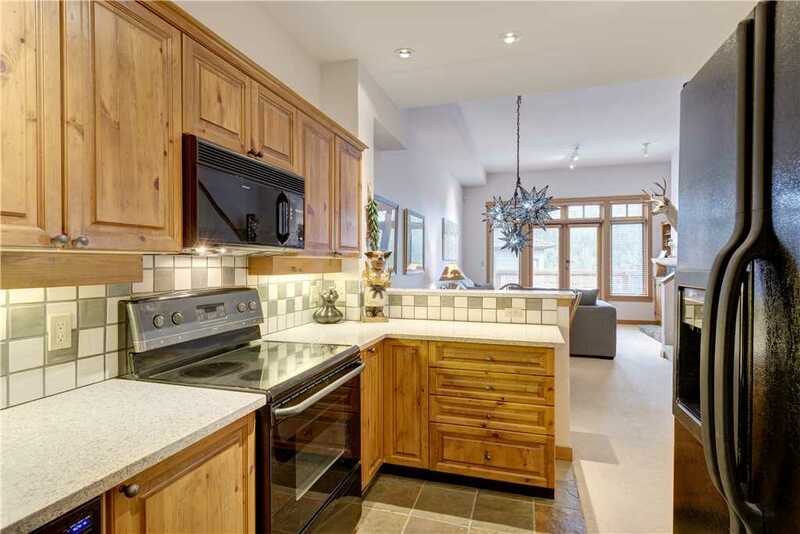 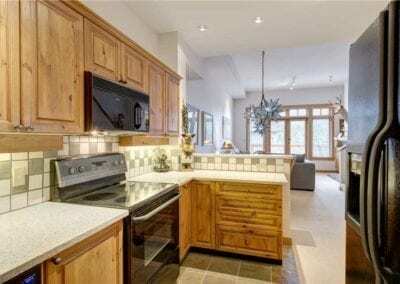 Modern ski-in ski-out 2 bedroom townhome close to the Creekside lifts. 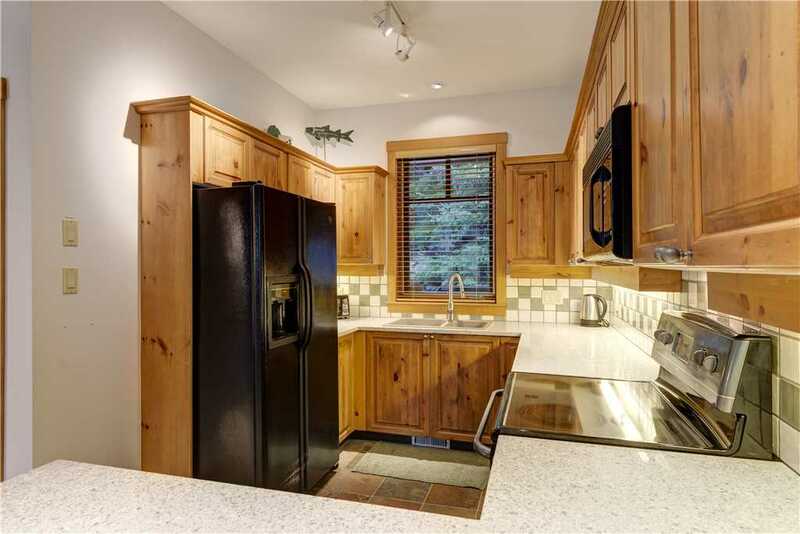 Includes a garage perfect for storing skis and bikes.